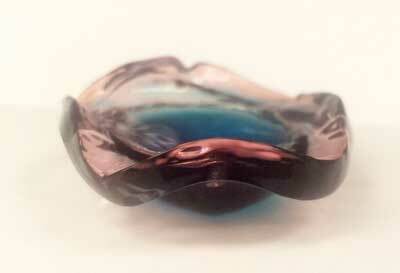 (Nanowerk News) Scientists from Nanyang Technological University, Singapore (NTU Singapore) and Carnegie Mellon University (CMU) have found a way to direct the growth of hydrogel, a jelly-like substance, to mimic plant or animal tissue structure and shapes. The team's findings, published in Proceedings of the National Academy of Sciences ("Controlled molecular self-assembly of complex three-dimensional structures in soft materials"), suggest new applications in areas such as tissue engineering and soft robotics where hydrogel is commonly used. The team has also filed a patent at CMU and NTU. In nature, plant or animal tissues are formed as new biomass is added to existing structures. Their shape is the result of different parts of those tissues growing at different rates. Mimicking this behaviour of biological tissues in nature, the research team comprising CMU scientists Changjin Huang, David Quinn, K. Jimmy Hsia and NTU President-designate Prof Subra Suresh, showed that through manipulation of oxygen concentration, one can pattern and control the growth rate of hydrogels to create the desired complex 3D shapes. The team found that higher oxygen concentrations slow down the cross-linking of chemicals in the hydrogel, inhibiting growth in that specific area. 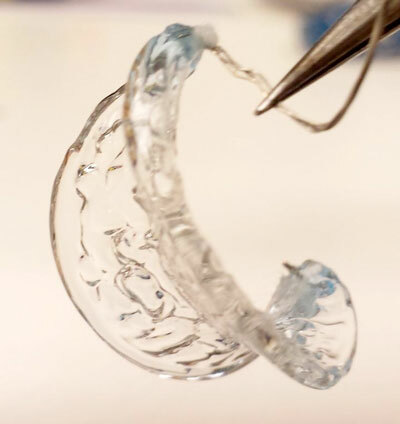 Mechanical constraints such as soft wire, or glass substrate which chemically binds with the gel, can also be used to manipulate the self-assembly and formation of hydrogels into complex structures. Such complex organ structures are essential for performing specialised body functions. For example, humans' small intestines are covered with microscopic folds known as villi, which increase the gut's surface area for more efficient absorption of food nutrients. The new technique differs from previous methods which create 3D structures by adding/printing or subtracting layers of materials. This technique, however, relies on continuous polymerisation of monomers inside the porous hydrogel, similar to the process of enlargement and proliferation of living cells in organic tissues. Most living systems adopt a continuous growth model, so the new technique which mimics this approach will potentially be a powerful tool for researchers to study growth phenomena in living systems. "Greater control of the growth and self-assembly of hydrogels into complex structures offers a range of possibilities in medical and robotics fields. One field that stands to benefit is tissue engineering, where the goal is to replace damaged biological tissues, such as in knee repairs or in creating artificial livers," said Professor Subra Suresh, who will be assuming office as the NTU President on 1 January 2018. Growth-controlled and structure-controlled hydrogels are also useful in the study and development of flexible electronics and soft robotics, providing increased flexibility compared to conventional robots, and mimicking how living organisms move and react to their surroundings.